Plain dosa recipe for simple and easy South Indian dosa needs the best dosa batter recipe. Simple and plain dosa recipe from South India is made using fermened idli dosa batter made using a combination of rice and urad dal. 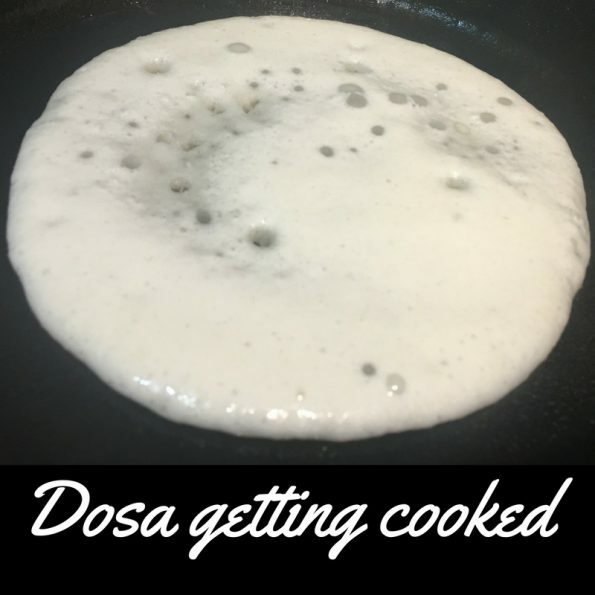 Although you can make a varieties of dosa using rice and different kind of lentils (or different grains other than rice), the most popular and commonly found dosa is the simple plain dosa recipe where you make simple plain dosa using the dosa batter made of rice and urad dal lentil (skin removed urad dal). South Indian dosa is actually kind of rice and lentil pancakes made from a fermented batter of rice and lentils. 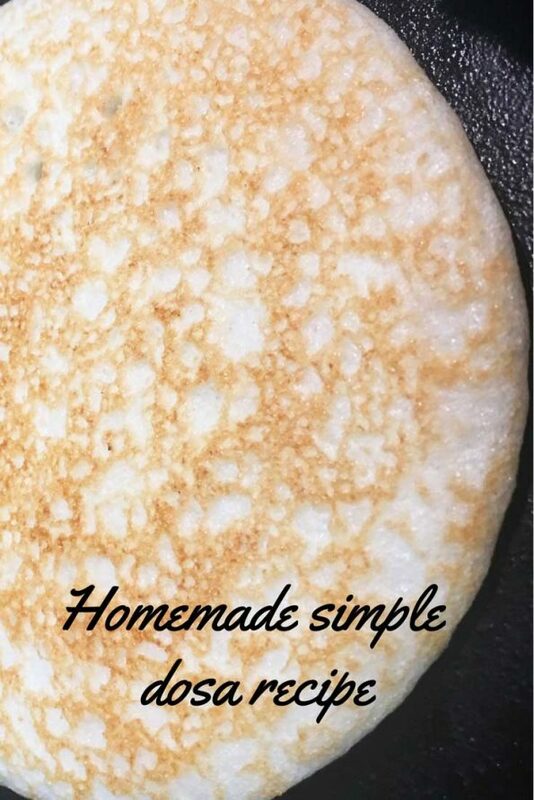 This way the rice dosa is gluten free (there are other varieties of dosa made from wheat flour as well, but in this post we are discussing the most simple plain dosa recipe made from rice). The dosa that you see above in photo is slightly thick in texture but delicious and homemade. You can make more thin and crispy dosa by spreading the batter more thinly and adding more oil or ghee. So this plain dosa recipe is gluten free recipe as well. The batter for idli (steamed indian rice cakes) and dosa is made the same way, the only difference is that to make the dosa, you slightly dilute the batter by adding little more water, as you need the batter to be of more liquid like consistency (not too watery) so you can spread it in the griddle or tawa to make dosa or pancakes. 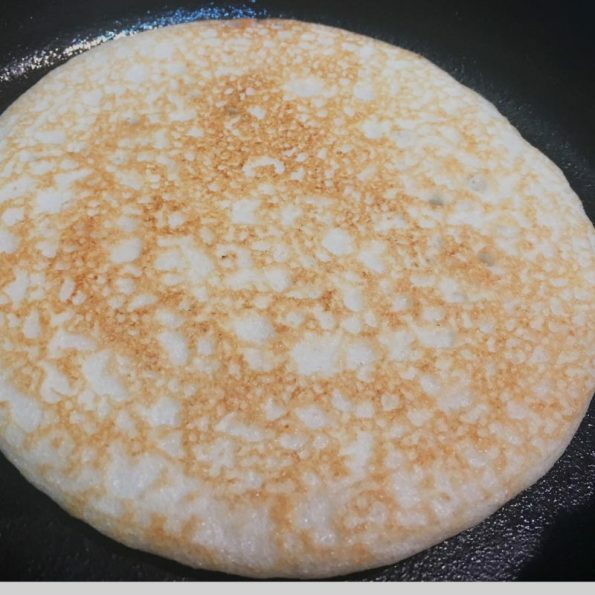 As I already mentioned, South Indian dosa is kind of pancakes, but they are thinly spread to form the dosa pancakes and you actually spread the batter in the iron griddle or non stick pan using the ladle in a circular motion so the batter is spread uniformly. So you can use the idli batter itself to make dosa. You can buy idli dosa batter from the stores nearby or you can make it yourself at your home following the ratio of 3:1 (rice : lentils) soaking them overnight, grinding and fermenting for at least 6 to 8 hours for best results. You can see how to make the best idli batter recipe here. or you can buy instant dosa mix here. If you are buying dosa mix, just follow the instructions in the package to make instant dosa batter. Just add a bit more water, say 1/2 cup of water for 2 cups of idli batter to make dosa. Once your batter for dosa is ready, let us see how to make plain dosa at home following this plain dosa recipe. Easy and simple South Indian style dosa can be enjoyed with side dishes like sambar (South Indian veg curry with dal) or chutneys like coconut chutney,tomato chutney etc or any curry that you like. 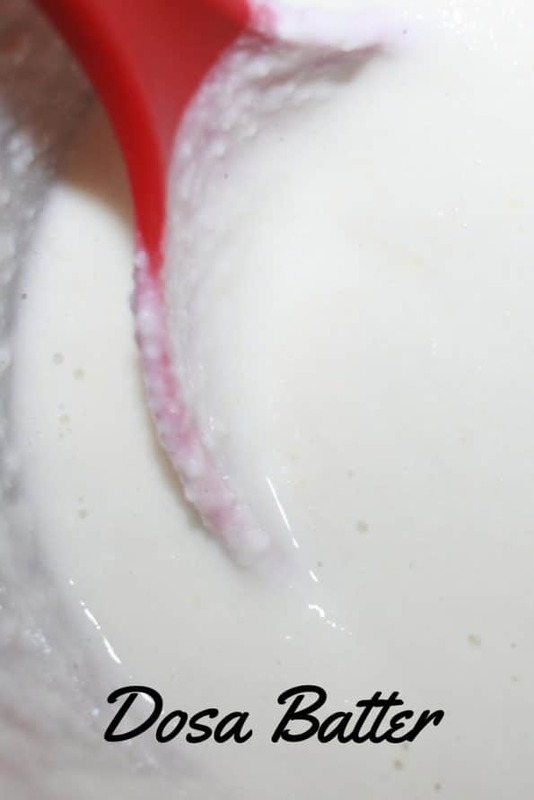 You will need dosa batter (see recipe here) to make dosa. Heat an iron griddle or non stick pan and when the griddle is really hot, add few drops of oil or ghee (or melted butter) to the griddle and gently rub all over the pan using a spoon or spatula. Pour a small ladle full of batter on to the hot griddle and then gently spread the batter thinly by moving the ladle in circular motion. As the batter gets cooked, add few drops of oil or ghee onto the top, and wait for the dosa to get cooked. This may take 1 to 2 minutes usually. Once the bottom side of the dosa is cooked, you will see the edges are coming off the pan, you can start flipping the dosa by slightly removing the edges from the pan using a good steel spatula. This step is very important, as the dosa may stick to the pan or griddle in some cases. Flip the dosa and wait for the other side to be cooked, and this will be more quick and usually done with in a minute. Enjoy hot dosa with side dishes like sambar or any chutneys or any curry you like. Popular side dishes enjoyed with dosa are sambar and chutneys like coconut chutney, tomato chutney and there are many varieties on chutneys. The most common chutney that is used with South Indian dosa is coconut chutney.